30 Oct MFR 2016: the most beautiful projects of selected by Felfil! 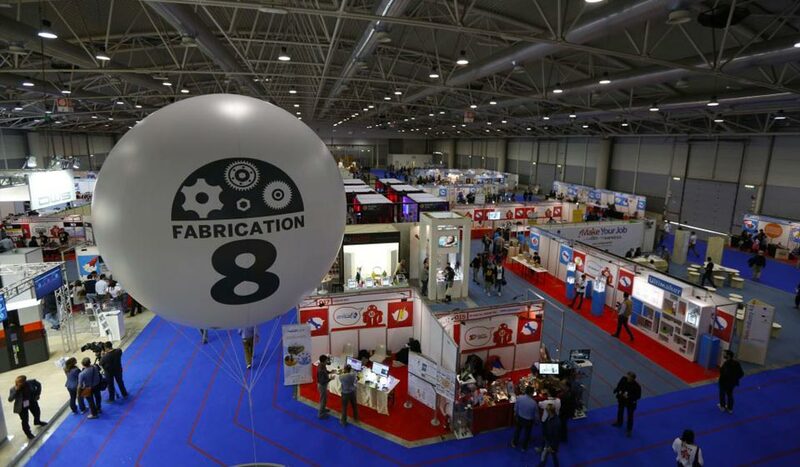 To events like MAKER FAIRE Rome we had the possibility to know lots of projects and to interact with innovators from every sector. For this reasons we have decided to devote this blogpost to the projects that have struck us for their utility and their creativity. We won’t write about us or Felfil or extrusion but about who like us chose the road of innovation. Small inventors grow up: in the YOUNG MAKERS area specifically in the “schools” section, we have found interesting the projects from Vallauri institute of Fossano, that for the occasion it has introduced the “Navetta Watney” but what has struck us is another one called Visionary Balance. This system introduces a horizontal auction above which it can flow a sphere that will always be brought to the center by actuators of the same system. This is possible thanks to a controller (Arduino) that through actuators it modifies the inclination of the horizontal auction, based on the position of the red sphere notice by a camera. The project must show the operation of Proportional-Integral-Derivate control, the PID used by Felfil in FELFIL EVO to regulate and to keep the fusion temperature of the polymer. The project is entirely released with license Creative Commons Attribution-Non commercial-Share alike 4.0 and you can find it here. We allow you the Facebook page of the institute Vallauri in which you can find their projects. Starslider is a slider for video makers completely automated and checked through an app. The interesting part is that, besides managing the function of “slide”, it entires also “tilt” and “pan” funtions in a modular and flexible system. The designer behind this project are called Repstar, we have appreciated he used approach: the photographic tool has been treated as a real CNC on three aces, with all the advantages of flexibility of use and precision of the case. If you want more info here, you can find their Facebook page. As indicated on their website this device allow you to make forms, molds and models through the forming of previously heated plastic plates and sheets (ABS, PVC and PET) that are useful and common tools for prototyping. Thanks to certification there is possible to use FLOW in community (schools, professional studies, laboratories) keeping in mind of the complementary potentialities that most recent and technologically evolved printing 3D. Also for this project we give you their Facebook page. Let us to know if you agree with us and if you have found other interesting projects! Felfil Update: Maker Faire, Startuppato, Github!